You won’t have any problem to id this bird when in Mt Kinabalu. 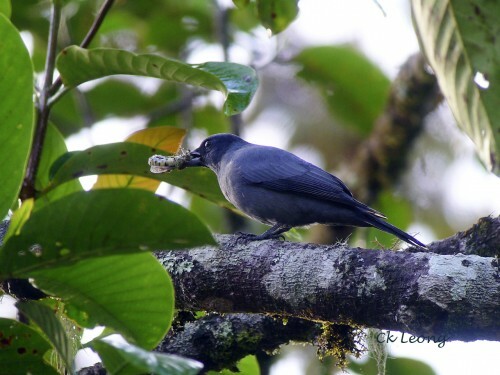 The Sunda Cuckooshrike Coracina larvata is the only all dark plumaged cuckooshrike there. It usually stays in the upper canopy but will descend to feed during the early morning hours. I saw this male bird having an insect breakfast but it also feeds on fruits.